Your wedding is once in a life time event and yet people do not budget properly for a DJ. 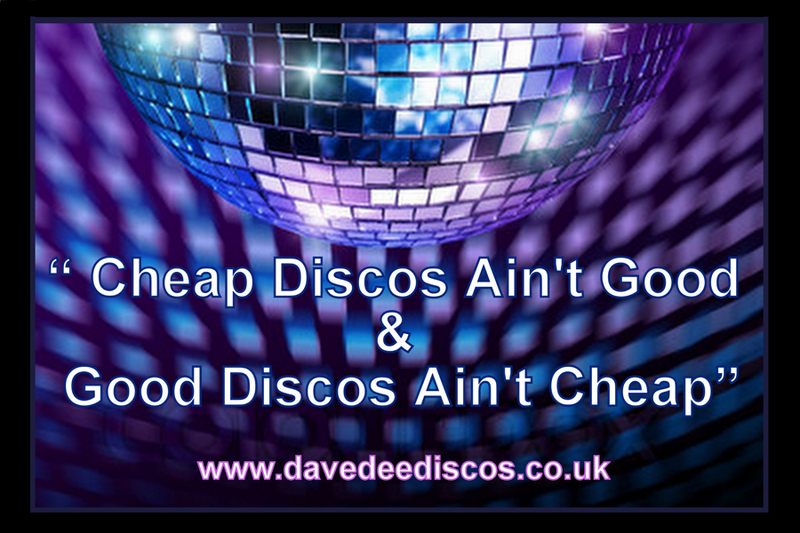 A cheap disco service is not good at all and good Disco service is also no going to be cheap. The balance is finding a mobile dj that can provide the best service at the most affordable price and at Dave Dee Discos we try to provide the best level of DJ service to the budget but then there is a limit to how low we can go. A cheap DJ can ruin a wedding celebration and we believe you get what you pay for as with everything else.